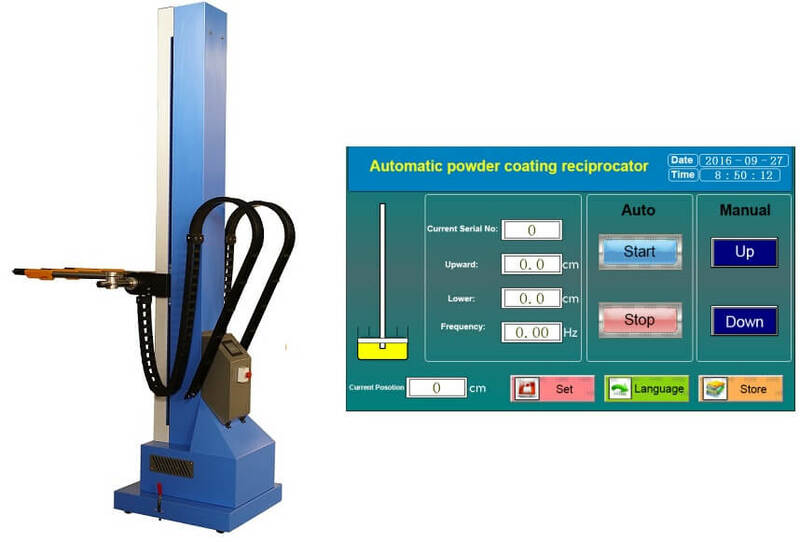 COLO-2200D Powder Coating Reciprocator is electrically driven by a frequency motor controlled via PLC, giving gentle and precise motion, thus ensures perfect coating result. · Increased Uniformity – Advanced digital control. Reduce powder consumption. · Smooth, swift and precise movement for speedy and uniform coating. · Can carry 2-12 pcs powder spray gun, reliable and stable running. · Quick Job Change – Pre-programmable preset settings for automatic selection of stroke and speed. · User-friendly touch screen control to control speed and stroke length. · Also available with Servo control for pre set precision movement. · Suitable for powder coating and liquid painting application.